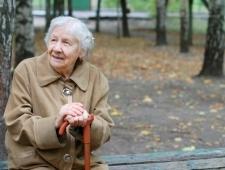 A study suggests that vitamin D supplements may help to prevent physical decline among older people. Vitamin D deficiency increases the likelihood that people will struggle to perform routine tasks as they get older, a study has found. Researchers at the VU University Medical Centre in Amsterdam looked at data on 762 people between the ages of 65 and 88 and a further 597 people, aged 55 to 65. Participants were assessed over the course of six years, with blood tests results used to determine whether they had high, moderate or low levels of vitamin D.
They were also asked about their ability to perform a number of routine tasks, including sitting down, standing up from a chair or walking outside for five minutes without needing a rest. Analysis revealed that among the older group of people, those with the lowest levels of vitamin D were 1.7 times more likely to have functional limitations than those with the highest levels of the nutrient. And among the younger participants, those with low vitamin D were twice as likely to have at least one physical limitation. The research also showed that people with a vitamin D deficiency were more likely to develop extra physical limitations as time went by. Lead author Evelien Sohl, whose findings are published in the Journal of Clinical Endocrinology & Metabolism, said: "The findings indicate low vitamin D levels in older individuals may contribute to the declining ability to perform daily activities and live independently." "Older individuals with these limitations are more likely to be admitted to nursing homes and face a higher risk of mortality." A high-quality vitamin D supplement could therefore "provide a way to prevent physical decline", the scientist added. The perfect product for those seeking a naturally sourced supplement could be Vitamin D3 Serum by Premier Research Labs, which is supplied by Really Healthy. Whereas many vitamin D supplements are manufactured using a hexane-based extraction process, this product is obtained from sheep's wool using methanol and is therefore free from hexane and other potentially toxic chemicals. Other than vitamin D3, the only other ingredients in this high-quality liquid food supplement are natural vitamin E - which acts as a preservative - and an extra virgin olive oil base.